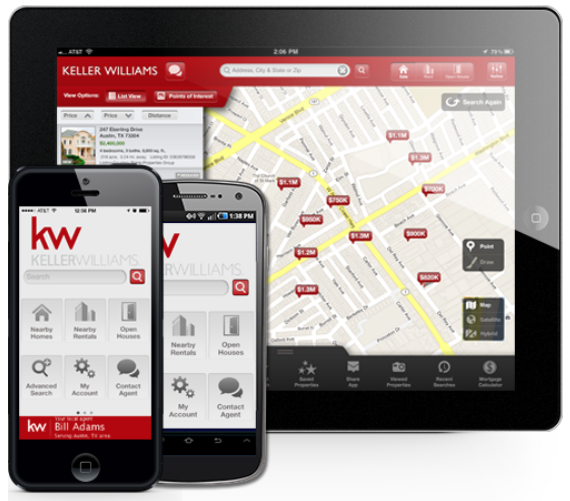 Arguably the best mobile real estate search tool available, the KW Mobile App provides real estate searching and direct connection to Catherine at your fingertips and is perfect for Buying or Leasing. Unlike sites like Trulia and Zillow, the information contained on the app is updated every 15 minutes. The App also shows all Open Houses for any given location. The App can tell you what homes are available in your preferred neighborhood. There are 3 ways to get Clock Realty Group’s Mobile App.